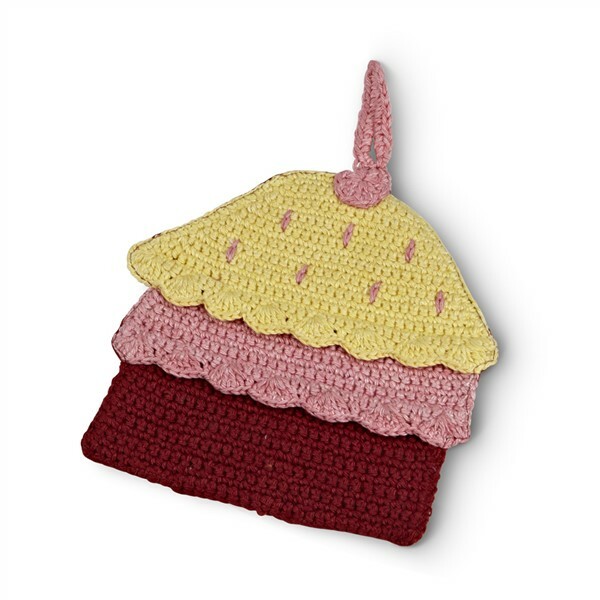 Vintage look crocheted potholder with all the fun of a cupcake! Each is one-of-a-kind hand crocheted and made of 100% cotton (hand-wash only) with a solid red cotton fabric backing and is approx 7.5". What a fun gift to tuck into a friend's birthday card!